The Rochester Institute of Technology (RIT) has expanded its Kids on Campus offerings this year to include courses such as video production, 3D digital graphics and even traditional art. For 32 years, the Rochester, NY, college has been inviting students in grades 5-12 to its campus during the summer for Kids on Campus, a program of one- to two-week workshops. For many years, the focus has been on computer technology. 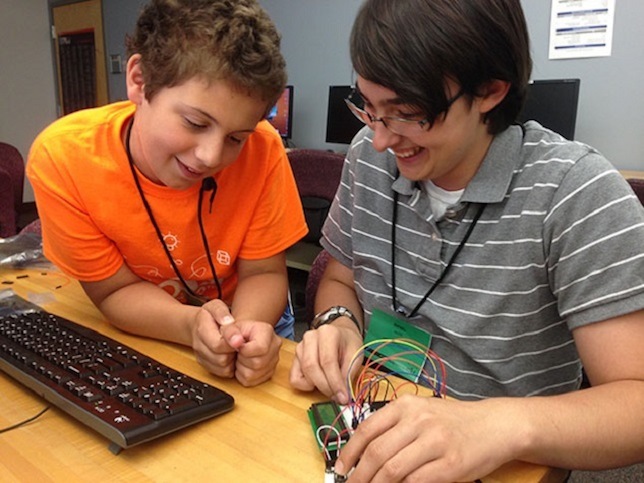 However, this summer the 870 students involved are branching out into a number of different areas and, in the 20 workshops available, trying out new activities like working on circuit boards, creating apps and building Web sites. "We have some technology expertise here and there's a definite market for it," said Assistant Provost Chandra McKenzie. "Equally as important, it allows us to build relationships with students and their parents in the community to give them a chance to experience RIT before they are college age." All the sessions are taught by Rochester Institute faculty members, graduates and current undergraduates. One of those instructors this summer, sophomore industrial design major Mitch Dehond, participated in the Kids on Campus program for seven years before finally enrolling at RIT. "My mother saw the summer classes were being offered and thought they'd be a good fit for me," Dehond said. "Now, I see students in my class and they're just a few years younger than me."